Irmandade da Santa Casa de Misericórdia de São Paulo is a philanthropic Institution considered one of the most important Medical Reference Centers of São Paulo. 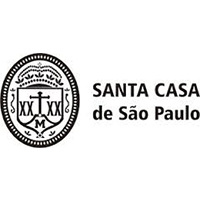 Santa Casa de São Paulo is a large teaching hospital, known all over the country by its scientific/technical researches. Its Hospital Central includes the first Brazilian centre specialized in the treatment of Multiple Sclerosis, and the largest Registry of Bone Marrow Donors in Brazil. SPOT, the department of Santa Casa specialized in searching for organ donors, has broken the world record of organ donors for 3 consecutive years, reaching 58 donators per million people in a year. Counting on an outstanding team and advanced equipment available to provide care to patients, the Institution is a reference centre for urgencies, Orthopedics, Pediatrics, transplants and neurosurgery. The pediatric Department performs approximately 50,000 emergency consultations, 48,400 outpatient consultations, 3,450 admissions and 800 surgeries in children annually. Mainly involved in WP2 and WP1.